Today we bought our daughter her first cell phone and in 4 days she will start Middle School and while this is a great milestone that my wife and I enjoyed, we were more sad than we expected. It was 7 years ago when we made the following video where we surprised our daughter with a trip to Disney World and it truly seems like yesterday when we did this. 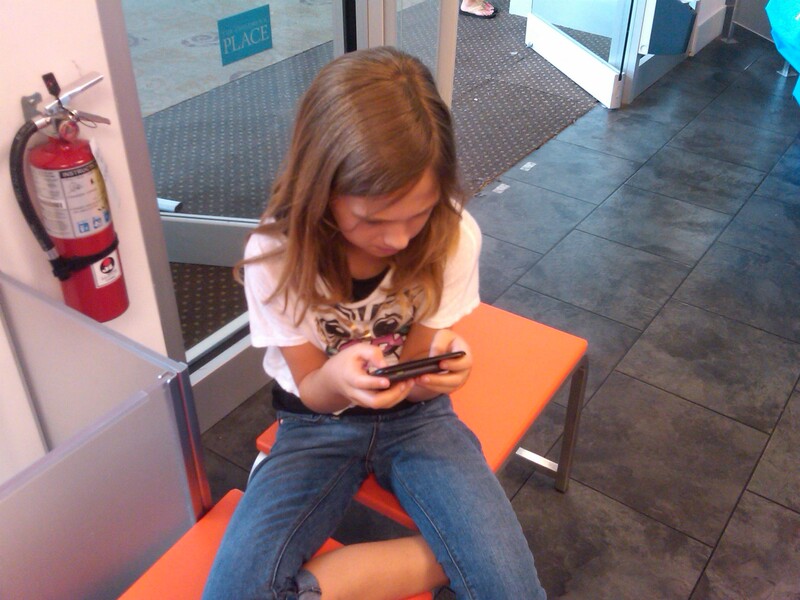 Now she is growing into a young lady and texting her friends on her new phone! Damn! Although I struggled with those days of diapers, bottles, daycare and feeling like a band roadie carrying all the paraphernalia required for toddlers when we travelled, in some respects it was easier in those days. If we wanted to protect her, we placed her in a secure location and she didn’t move. We decided who she played with, we decided what she ate/drank, we decided how she spent her free time and we controlled almost all aspects of her life to ensure she was safe. But in just a few years from now we won’t be able to control her or protect her all the time. Soon, she’ll be driving, going on dates and be faced with decisions about drugs and alcohol. She’ll be growing into an adult and must learn the responsibility/accountability that comes with independence the same way I did and that means learning from her mistakes. She will have to deal with peer pressure and learn that mom and dad won’t always be there to protect her so she must understand that her actions have consequences. How will I muster the courage to face these challenges? Fortunately, there is a coping mechanism that has been built in to our aging process that will help. From my brief 11 years as a parent, I’ve learned that parenting is akin to obtaining calluses on your hands and feet. From frequent use, our hands and feet become toughened and can withstand the rigor of such tasks as working with tools and walking barefoot outdoors. These calluses aren’t generated immediately but instead happen over a long period of time and abuse. At a child’s birth, there is no way a parent can comprehend dropping your child off at daycare, leaving your kid at school for the day, letting them spend the night at a friend’s house or (gulp!) going on a date. Each year of a child’s growth leaves calluses on a parent’s psyche that toughens you up for the next challenge. Right now, I can’t imagine teaching my daughter to drive, watching her back out of the driveway on her way to spend the evening with her friends or driving away from a college campus after moving her into a dormitory. But that is ok because I haven’t built up those calluses yet and in a few years I’ll be able to do these feats of bravery without curling up in the corner and crying. Fortunately for humans, it takes about 18 years before we are ready to let our offspring leave the nest and parents are fortunate to have almost 2 decades of repeated friction, pressure and irritation to build up a thick layer of calluses that allow us to watch our children turn into adults. Take heart fellow parents that our species has been doing this for about 200,000 years and we aren’t blazing new territory here.